Bu çalışma kapsamında et proteinlerinin farklı karragenanlar ile etkileşimi NaCl eklendiği ve eklenmediği durumlarda araştırılmıştır. Bu amaçla et proteinlerinin denatürasyon pik sıcaklıkları (Tp) ve camsı geçiş sıcaklıkları (Tg) ve karragenanların jelleşme sıcaklıkları differansiyel taramalı kalorimetre (DTK) ile incelenmiştir. DTK’dan elde edilen termogramlarda miyosin için 57.96°C, sarkoplazmik proteinler için 66.08°C ve aktin için 79.23°C olmak üzere 3 temel Tp değeri bulunmuştur. Kıyma haline getirilmiş dana eti tuz eklendiğinde miyosin ve aktinin Tp değerlerinde azalma sarkoplazmik proteinlerininkinde ise artış gözlenmiştir. Karragenanlar eklendiğinde ise proteinlerin aktin ve miyosinin Tp değerlerinde azalma gözlenmiştir. Karragenanlar etkilerini tuz varlığında daha belirgin olarak göstermişlerdir (P ≤0.05). Camsı geçiş sıcaklığı DTK termogramlarında basamak değişim olarak gözlenmiştir. Tuz eklemenin camsı geçiş sıcaklığı üzerine önemli bir etkisi gözlenmezken (P >0.05), eklenen karragenanlardan yalnızca ι-karragenan artışa neden olmuştur (P ≤0.05). κ ve λ-karragenan ise camsı geçiş sıcaklıklarında azalmaya neden olmuşlardır (P >0.05). In this study the interactions between meat proteins and κ, ι, λ-carrageenans with or without NaCl were investigated. For this purpose the thermal denaturation (Tp) and glass transition temperatures (Tg) and gelation temperatures of carrageenans were determined by using differential scanning calorimetry (DSC). Three denaturation peaks were found for ground meat which were 57.96°C for myosin, 66.08°C for sarcoplasmic proteins and 79.23°C for actin. The Tp of myosin and actin were decreased while Tp of sarcoplasmic proteins were increased when NaCl was added. Addition of carrageenans decreased the Tp of actin and myosin and it was observed that effect of carrageenans was increased when salt was added. The Tg was observed as step change in the thermograms. Addition of salt did not affect Tg of samples, only ι-carrageenan increased Tg of samples (P ≤0.05). On the other hand κ, λ-carrageenan caused a decrease in the Tg of samples (P >0.05). Akkose, A., Aktas, N. (2008). Determination of glass transition temperature of beef and effects of various cryoprotective agents on some chemical changes. Meat Science. 80: 875–878. Amako, D.E.N., Xiong, Y.L. (2001). Effects of carrageenan on thermal stability of proteins from chicken thigh and breast muscles. Food Research International. 34: 247-253. Candogan, K., Kolsarici, N. (2003). The effects of carrageenan and pectin on some quality characteristics of low-fat beef frankfurters. Meat Science. 64: 199–206. Chen, H.H., Xu, S.Y., Wang, Z. (2007). Interaction between flaxseed gum and meat protein, Journal of Food Engineering. 80: 1051-1059. DeFreitas, Z., Sebranek, J.G., Olson, D.G., Carr, J.M. (1997). Carrageenan effects on thermal stability of meat proteins. Journal of Food Science. 62(3): 544-547. Dickensen, E., (2003) Hydrocolloids at interfaces and the influence on the properties of dispersed systems, Food Hydrocolloids. 17: 25-39. Harwalker U.R., Ma, C.Y. (Ed. ), Findlay, C.J., Barbut, S. (1990). Thermal analysis of meat. Ch. 4, In Thermal Analysis of Food. Elsevier Applied Science, New York. p. 93–125. Li, Y.T., Jiang, Y.M. (2004). Carrageenan and cooked meat products. Journal Meat. 9: 46–47. Ma, C. Y., Harwalkar V. R., Maurice, T. J., (1990). Instrumentation and Techniques of Thermal Analysis in Food Research, In “Thermal Analysis of Food” p: 1-16. Orlien, V., Anderson, M. L., Jouhtimaki, S., Risbo, J., & Skibsted, L. H. (2004). Effect of temperature and glassy states on the molecular mobility of solutes in frozen tuna muscle as studied by electron spin resonance spectroscopy with spin probe detection. Journal of Agricultural and Food Chemistry. 52: 2269–2276. Pighin, D.G., Sancho, A.M., Gonzalez, C.B. (2008). Effect of salt addition on the thermal behavior of proteins of bovine meat from Argentina. Meat Science, 79: 549–556. Shand, P.J., Sofos, J.N., and Schmidt, G.R. (1994). Differential scanning calorimetry of beef/kappa-carrageenan mixtures. 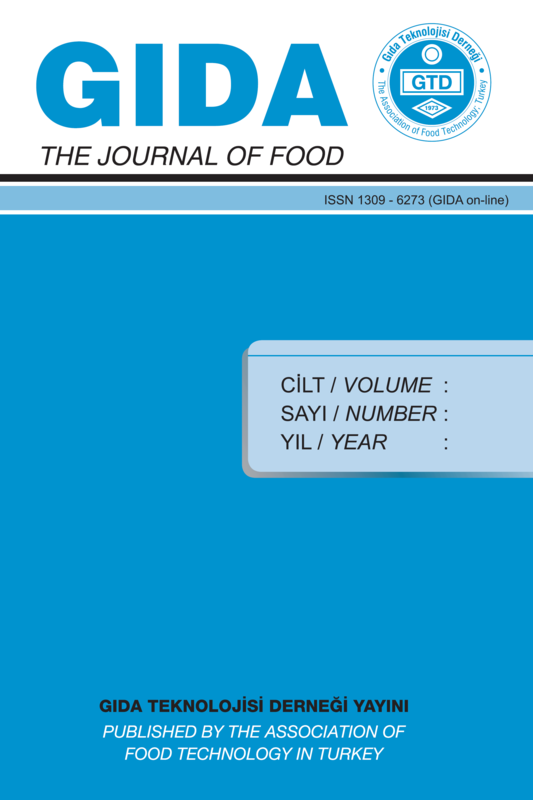 Journal of Food Science. 59: 711–715. Sunooj, K.V., Radhakrishna, K., George, J., Bawa, A.S. (2009). Factors influencing the calorimetric determination of glass transition temperature in foods: A case study using chicken and mutton. Journal of Food Engineering. 91: 347–352. Tomšic, M., Prossnigg, F., Glatter, O., (2008) A thermoreversible double gel: Characterization of a methylcellulose and κ-carrageenan mixed system in water by SAXS, DSC and rheology, Journal of Colloid and Interface Science. 322: 41–50. Towle, G.A. (1973). Carrageenan. Ch. 5 In Industrial Gums, Polysaccharides and Their Derivatives. 2nd Edition, Academic Press. New York p. 83–114. Voutila, L., Ruusunen, M., Puolanne, E. (2008). Comparison of the thermal characteristics of connective tissue in loose structured and normal structured porcine M. Semimembranosus. Meat Science. 80: 1024-1030. Wright, D.J., Leach, I.B., and Wilding, P. (1977). Differential scanning calorimetric studies of muscle and its constituent proteins. J. Sci. Food Agric. 28: 557–564. Zhou, W.W., Meng, L., Li, X., Ma, L., Dai, R. (2010). Effect of the intereaction between carrageenan, gellan gum and flaxseed gum on quality attributes of strach-free emulsion-type sausage. Journal of Muscle Foods. 21: 255-267.